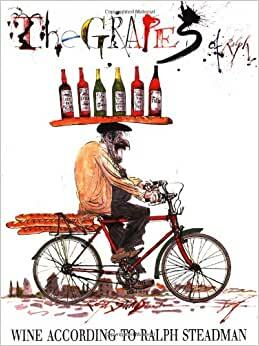 Through pictures and prose, readers take a good look at the great wines of the world and the people who make them, including a lively, illuminating, often hilarious view of the world of vineyards, presses, and wine tasting. 5.0 颗星，最多 5 颗星Fun for a lover of art or wine!! I am a huge Ralph steadman fan and this book is such a cool conversation piece. I leave it on my coffee table and everyone flips through it. It’s a must for any Ralph or HST fan. 5.0 颗星，最多 5 颗星Great book. Great book. Not just art. Lots of entertaining stories. Ralph also details the planting and maintenance of his first vineyard in England. Well, what can I say - I love Ralph Steadman's honest window view and brutal take on the worlds he visits - running them through his fractured fractaled kaleidoscopic mind. Entertaining and brilliant. I bought this as a gift. There was a little wear and tear, as described, but the book was everything I'd imagined. Ralph Steadman drawings and wine? Sold. A great read with a wine or two, however, too much Steadman isn't good for you!